Set in the heart of London, this grand Victorian hotel offers modern facilities in an excellent location at Paddington Station. Guests can visit Oxford Street, Hyde Park, Kensington Gardens, Buckingham Palace and much more. This hotel provides a superb base to unwind before discovering London's most popular attractions. Accommodations include comfortable and spacious guestrooms and suites, many with sweeping views of this amazing city. 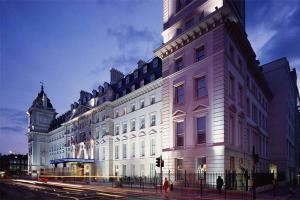 Located in London, adjacent to Paddington Underground and Rail Station. About a 40-minute drive to Heathrow Airport.